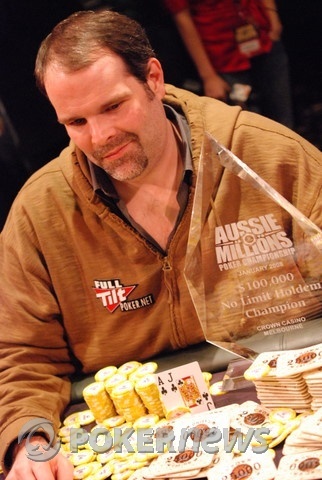 Howard Lederer mounted an impressive victory. He spent the majority of the day at the back of the pack and sat on a short stack. He patiently waited to make a move as dozens of runners busted out before him. He outlasted the young guns and several of the established Las vegas veterans en route to his $1,250,000 first place victory. What a long strange trip it's been for Lederer, who started playing cards at the infamous Mayfair Club in New York City back in the 1980s. Congrats to Howard Lederer for a job well done. Howard Lederer has the button. He calls and Mark Teltscher checks. The flop is . Teltscher bets 60,000 and Lederer calls. The turn is the . 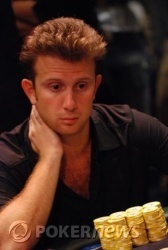 Teltscher bets 110,000 and Lederer calls. The river is the . 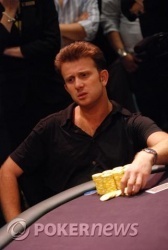 After using up his final time extension, Teltscher moves all in for 400,000 and Lederer calls. Teltscher turns up for two pair, but Lederer has the better two pair with . Teltscher is eliminated and will collect $650,000 for his runner up finish. Congratulations to Howard Lederer, who will take home $1,250,000 for his victory! Mark Teltscher has the button. He calls, Lederer raises to 80,000 and Teltscher calls. The flop is . 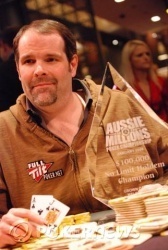 Lederer bets 130,000, Teltscher folds and Lederer wins the pot. Howard Lederer has the button. He gives Teltscher a walk in the big blind. Mark Teltscher has the button. He calls and Lederer checks. The flop is . Lederer checks, Teltscher bets 40,000 and Lederer calls. The turn is the . Lederer checks, Teltscher bets 85,000, and Lederer calls. The river is the and both players check. Lederer shows , Teltscher mucks, and Lederer wins the pot. Howard Lederer has the button. He raises to 100,000 and wins the blinds. Mark Teltscher has the button. He gives Lederer a walk in the big blind. Howard Lederer has the button. He calls, Teltscher raises to 100,000, and Lederer calls. The flop is . Teltscher moves all in for 320,000 and Lederer makes the call. The turn is the , the river is the , and Teltscher doubles up to 850,000.